From the beginning to the end of the project Valencia Pools met and exceeded our expectations. We had initial concepts in mind and the experience of Jim and his team translated our back yard to our own resort. This was the first pool we have had built and throughout the process we were kept informed of progress and Valencia Pools identified opportunities that allowed us ot incorporate more of our wish list of features than we though achievable. The craftsmanship and dedication to detail created finishes to all the work they performed. Our experience with Jim and Valencia Pools was amazing and we highly recommend them. What a beautiful job we got from Valencia Pool Designs. 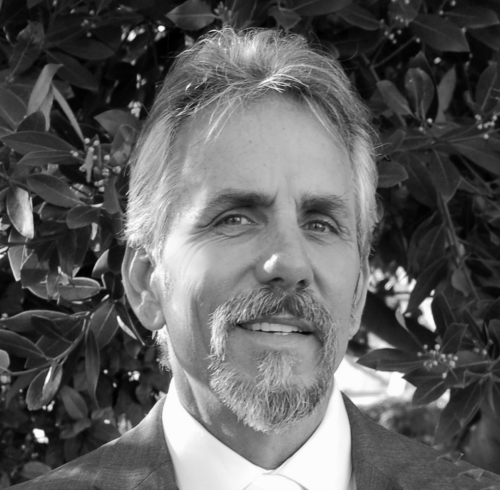 The owner, Jim Satterfield personally came to our home to help my husband and I design and create our amazing backyard. he personally took measurements, marked a few spots in our yard, took a can of paint and in matter of 5 minutes laid out the perfect design. As well added a few of his own ideas which we loved. From signing the contract to completion, workmanship above what we expected. Mr. Satterfield mentioned it would take approximately 8 weeks for completion but after 6 1/2 weeks we were enjoying our new pool. In our many years of hiring different contractors, the professionalism, attentiveness, and attention to detail was far beyond what we have experienced. from the pool, spa and new firepit we are so thankful and hope to enjoy for years to come. Again thank you for our little backyard paradise. Ron & Terri Cambell. Santa Clarita, Ca. What a great company and wonderful people. From start to finish Valencia Pool Designs turned our idea into reality. The waterfall and rock work done to perfection and although we thought we wanted a gray plaster finish Jim Satterfield convinced us on the pebble bottom and “wow”, so beautiful. Great choice. Everything seemed to just flow as the work began., and many times my wife seemed to notice that Mr. Satterfield, yes the owner was there cleaning, sweeping, making sure everything in order by end of the day. I thank you for an incredible job. Hi. My name is Marylyn Gilroy. We recently bought our new home here in Saugus and needed our backyard finished. Actually started. Too much dirt. We called for estimate for swimming pool and built in Bbq. Valencia Pool Designs price was in between two others quoted but after meeting with Jim, the owner we were sold. Thank you for such a beautiful pool and a professional service. I will recommend you to anyone who asks. Asked to say a few words about experience with Valencia Pool Designs. (Jim Sattefield). First and most important thing is we LOVE, LOVE our new pool. The kids have been in it everyday since completion. Oh, and the neighbor kids, the cousins. Both Rick and I have been in almost as much. From first meeting Jim and going over the sketches, and sketches, and changes once decision made, I must say “above and beyond what I expected.” and not to mention how fast it seemed to go.I think it was all completed in about seven weeks. I would definately this company and again thank you. We’re the Ahrens and we would love to provide you with testimony. Jim Satterfield was a pleasure to work with. He was a great balance with giving both of us what we needed/wanted while working within our budget. We gave Jim a price point and a wish list and he basically built our pool within our parameters. He kept his promise as far as the timeline as well. He gave us a date and he came in on time! Jim’s crew was professional and cleaned up after themselves. They were careful to protect our patio by creating a temporary wall around their work. Jim was present each day when there was a major part of the project occurring and often called to check on us and get our feedback about the progress. He made suggestions to us to maximize our enjoyment and conveniences he recommended based on his experience as a pool builder. 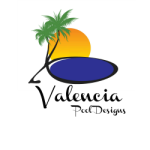 We would highly recommend Jim at Valencia Pool Designs! Content copyright 2014. Valencia Pool Designs Inc. All rights reserved.